Had my first meeting with some folks from the Walk Highlands 'site' on A'Mharconaich who were on the same journey as myself. They were an extremely cheerful bunch but they must have thought that I was inadequately dressed to be up above the snow line in the squally conditions on the day. In fact they made me wear some of their spare clothing....I'm sure that they will have at least an image of this. I write this as a prompt to them to produce some sort of report on what was a hilarious day out in the hills rescueing ill equipped travellers from the cold! I have one image on my own camera of the day..... taken prior to meeting up with them! Last edited by gaffr on Thu Mar 25, 2010 5:26 am, edited 1 time in total. Re: The Four Drumochter tops. Hellos and "real" names were exchanged. 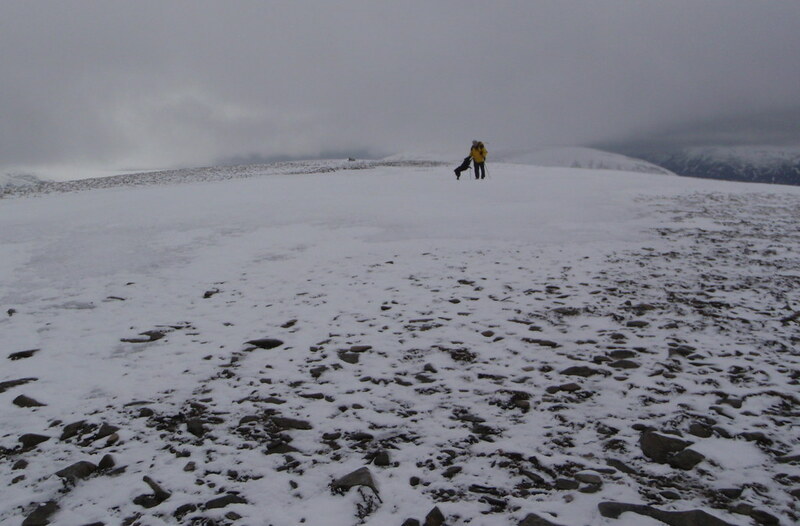 It was dire up there and we all cracked on to the next summit - here we'd find out who each other really was!